San Miguel is a district made up of the following neighorhoods: Bella Vista, San Miguel, Campo de Mayo, and Muñiz. 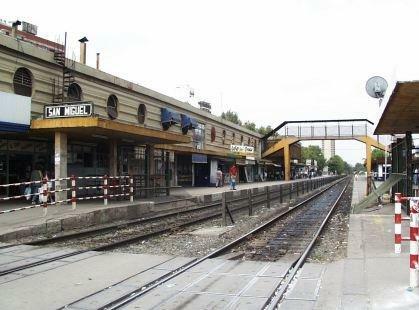 San Miguel is located in Northern Greater Buenos Aires, 32 km away from the City of Buenos Aires. San Miguel (along with Jose C. Paz and Malvinas Argentinas) was created wheb the former area General Sarmiento was devided on October 20, 1994. The city of San Miguel is the main one in the area of the same name, the landscape is rather flat and there aren't any rural spaces, at least not specifically rural. Inside the limits of the San Miguel district you can find the National School of Warrant Officers named "Juan Gregorio Lemos" and "Campo de Mayo" (Field of May), which is one of the most important fields in Argentina. In 1960 military conflicts took place on that field. "Campo de Mayo" is located on the limits with Tigre, San Martin, Malvinas Argentinas, Tres de Febrero, and Hulingham.